I set up websites for small and medium sized businesses, sole traders, freelance workers etc. If you already have a website that you’d like to be modernized, I can do that too. What will your site look like? 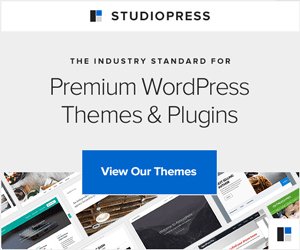 For the look of your site you can choose one of more than forty StudioPress themes. These are professionally designed themes that look great and provide a solid foundation for your website. What if you want to pay a premium price for a truly bespoke web design? Once your site is set up, changing the theme or design is a small job involving only a small amount of work. If at any time in the future you decide to invest much more money in a bespoke web design you can easily do this. I however do not offer a bespoke web design service. I will also do basic on the page SEO for one search term on one web page of your site. For example I could optimize your home page for the search term “plumber in Bradford” etc. This does not guarantee your site will rank well in Google for your search term but it does increase your chances. Things you need to provide before I can start to build your website. Tell me the domain name you want to buy, for instance “Claireshats.co.uk” type this carefully as once it’s registered it must be paid for. Even if you’ve misspelled it! A good description of your service or business. Your contact details, phone number and full address. A short biography for your about us page including any relevant qualifications or experience etc. Before and after photos of jobs you have done in the past, if available. You can find out more about what I do on my WordPress assistant page.